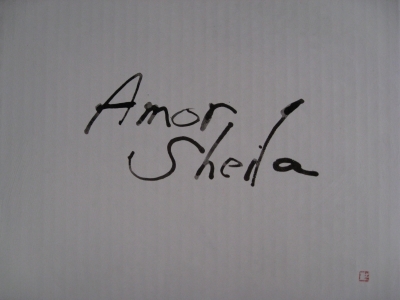 This words are AMOR SHEILA. These are Ms.Sheila's favorite words. She is Brazilian and is 20's.